We are a French fry loving household. We would eat them every day if we could…but unfortunately, we cannot or we would be as big as the side of a barn. Well, except for Casey who does eat French fries almost every day but possesses no fat cells. 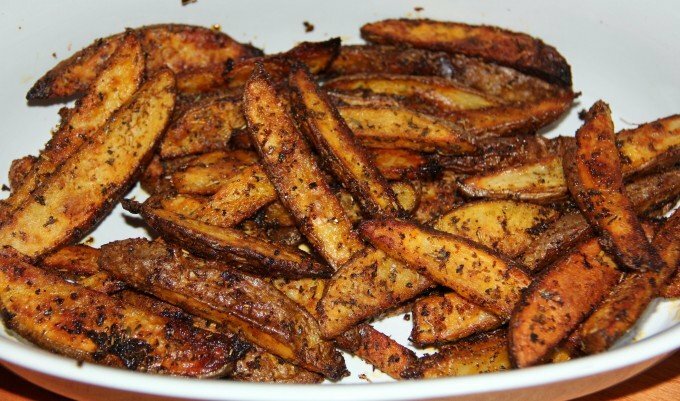 I’ve made these oven-baked fries a lot recently and everyone loves them. 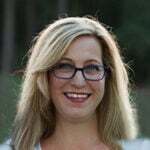 They’re a little spicy, slightly crunchy on the outside and nice and soft on the inside. They take about half an hour to bake and just a few minutes to prepare—perfect for a weeknight meal. Start with 3 regular baking potatoes and slice them in half, then cut the halves into wedges. I usually get about 4 wedges out of each half. Cover a cookie sheet with tin foil and then place the potato wedges on the foil. Drizzle 2 tablespoons olive oil over the potatoes. 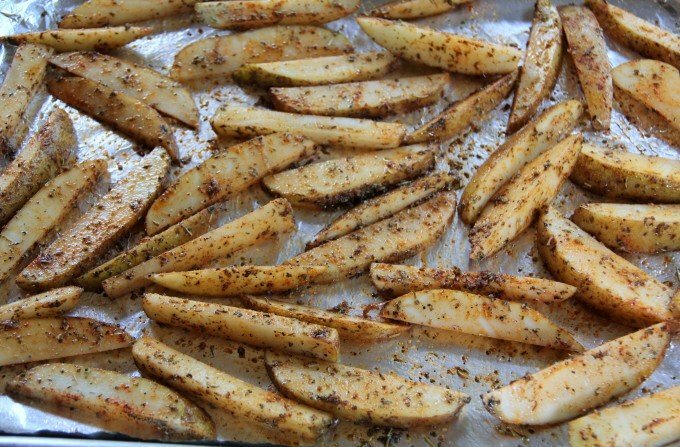 Now sprinkle paprika, cumin, garlic powder, chili powder, and Italian herbs over all the wedges. Using your hands, toss the potatoes with the oil and seasonings, making sure each potato is well coated. Roast for 20 minutes, then turn each potato to the other side and drizzle with just a bit more olive oil. The turning of each potato is very important, otherwise you won’t get the nice crunch on the outside. Roast for another 10 minutes or until tender and remove from oven. Serve immediately. 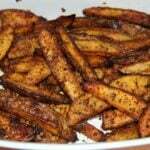 Spicy oven-roasted French fries, slightly crunchy on the outside and velvety smooth and soft on the inside. Preheat oven to 475. Cover baking sheet with tin foil. 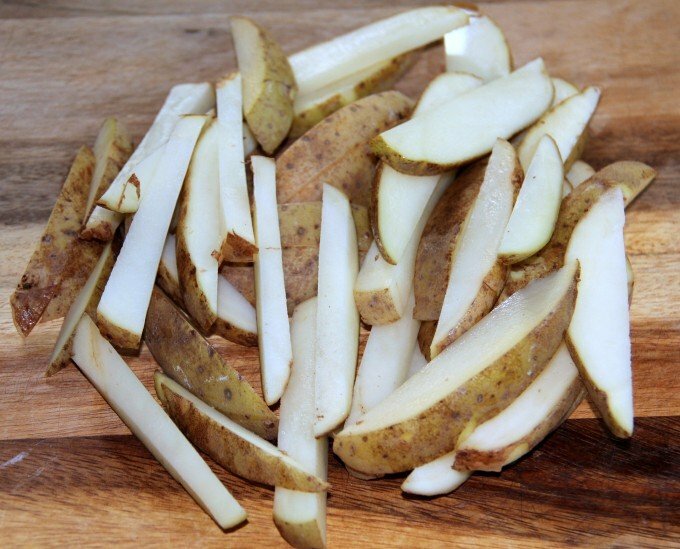 Cut each potato in half and then cut the halves into 3-4 wedges. Place potatoes on baking sheet. Drizzle with olive oil then sprinkle with all the seasonings. 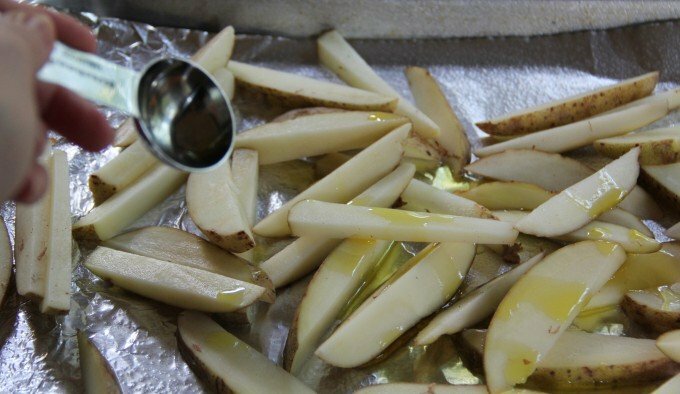 Using your hands, mix the potatoes with the oil and seasonings, making sure each potato wedge is well coated. Roast for 20 minutes. Remove from oven and turn each potato wedge to the other side. Drizzle with a bit more olive oil. Roast for another 10-15 minutes or until potatoes are tender. Serve immediately.